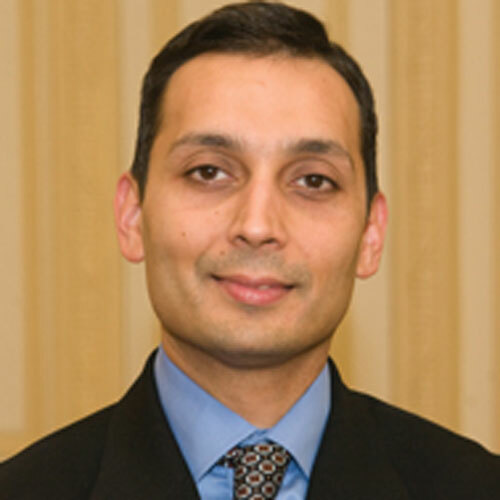 Faiz Y. Bhora, MD, FACS is Director of Thoracic Surgical Oncology and Thoracic Surgical Research, Co-Director of the Airway Program and Associate Program Director of General Surgery at Mount Sinai St. Luke’s Roosevelt and Continuum Cancer Centers of New York. He is Associate Clinical Professor of Surgery at Columbia University. He received his medical education at the Aga Khan University, Karachi, Pakistan, General Surgery training at George Washington University Medical Center, Thoracic Surgery training at UCLA Medical Center, followed by a fellowship in Thoracic Oncology Surgery at The University of Pennsylvania. Dr. Bhora’s area of interest and specialty is Thoracic Oncology Surgery. He specializes in minimally invasive approaches to thoracic surgical diseases, especially thoracic cancer and in the use of the Da Vinci robot to perform minimally invasive thoracic surgery. Operations where Dr. Bhora is considered expert include Robotic Lobectomy and Segmentectomy, Robotic Heller Myotomy, Robotic Thymectomy for myasthenia gravis and mediastinal masses, Robotic Excision of Duplication Cysts, Neurogenic Tumors. He is nationally and internationally known for his expertise in advanced bronchoscopic surgery involving the airway, including Airway Stenting and Endoscopic Excision of Tumors. He has developed one of the largest Interventional Airway Programs in the region. In addition to cancer surgery, Dr. Bhora has an interest in VATS procedures to handle complex thoracic surgical problem, Repair of Pectus Exavatum Deformities and the treatment of Primary Spontaneous Pneumothorax.